Awards season is rapidly approaching, which means you should be watching lots of movies - so that you may express your smart and good movie opinions - and eating lots of snacks. A big bowl of fluffy, flavorful popped corn is the obvious, correct choice, but if you find yourself getting a little bored of the basic butter-and-salt situation, we have some ways to branch out. Nutritonal yeast: These yellow flakes are a vegan favourite for good reason — they add a cheesy, super savoury flavour to anything they're sprinkled on — and they make for downright addicting popcorn. 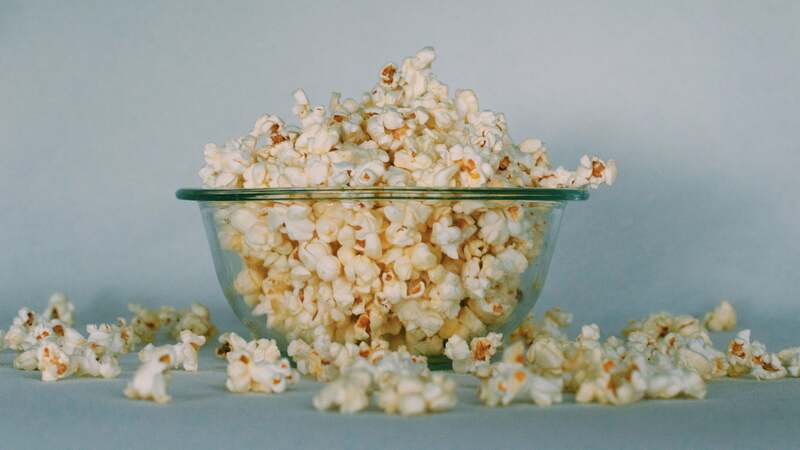 Soy sauce butter: Rather than pouring soy sauce directly on your popcorn (which can make it soggy), mix one tablespoon of the stuff with two tablespoons of melted butter, then drizzle on as usual. Cacio e pepe: Top your bowl of popped maize with a mountain of finely grated Parmesan - like, way more than you think is proper - then grind fresh black pepper on top. Bonito flakes: These dried, fishy flakes pack the most umami-packed punch your mouth has ever been punched with, and they dance around delightfully when sprinkled over hot popcorn. Cinnamon sugar: Make this when you need a break from savoury — just make sure to use lots of butter. All sorts of powders in your spice cabinet: Curry powder, garlic powder, Old Bay, chilli powder, dried dill, and cumin powder are all delicious. Citrus zest: Lime is great with chilli powder; lemon is great with black pepper. Miso butter: Mix a teaspoon of your favourite miso with melted butter and whisk until it's well combined. Drizzle that ish all over. Furikake: This stuff hit all the flavours. Sweet, salty, umami, vegetal — it's all there. Also, it's not a seasoning, but I'm a sucker for a bunch of M&Ms mixed into a big bowl of hot, buttery popcorn. The candy may melt in your hand before it gets to your mouth, but the flavour experience is worth a little messiness. I remember as a kid we had a jar of popcorn seasoning, doesn't seem to exist these days.